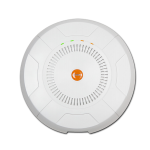 The XR-520 Access Point represents a new class of low cost, zero touch AP within the Xirrus wireless portfolio. With a powerful integrated controller, application-level intelligence, automated provisioning, and cloud management (optional), the XR-520 delivers a flexible complement to Xirrus’ line of modular XR Arrays. The XR-520 is the ideal solution for providing robust wireless connectivity in areas of low-to-medium user density. Example use cases include hotel rooms, dormitories, hospital rooms, health clinics, office spaces, retail areas and similar.